Desert Fleet-Serv began in 1995 and started as a “mobile oil change” business. Since then, the family-owned operation has grown, and today we are recognized among the best in the business. DFS is large enough to handle all of your commercial fleet needs, yet small enough to provide service and care that our customers expect. Please click here to view a full list of our services. At Desert Fleet-Serv, we define integrity as doing the right thing when nobody is looking. 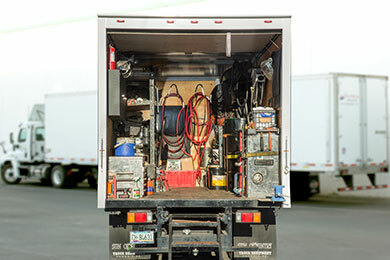 Our commercial on-site day or night fleet services are performed by ASE certified technicians. Quality service & repairs, regular ongoing communication and fixing only what is necessary are the steps in building a foundation of trust with the companies that we serve. Our business practices incorporate what you care most about, getting your equipment up, running and safely driving down the road. Desert Fleet-Serv’s commitment starts with hiring only “A” players. Every Desert Fleet-Serv technician has one or more Automotive Service Excellence certifications with ongoing training and testing to achieve an ASE Master Level status. Desert Fleet-Serv is an ASE Blue Seal of Excellence business. Ongoing training, investment in new and existing diagnostic equipment and software is key to providing the right tools to each team member of DFS. 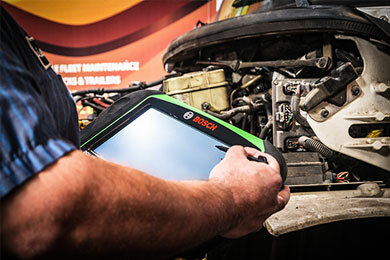 Our platform gives technicians the tools to capture vehicle and repair information electronically. DFS service and repair work orders are completed electronically. Paperwork requirements such as FHWA DOTs are completed as required. Our mobile forms application eliminates having to decipher handwritten recommendations and complete vehicle status. Efficiencies from this platform insure quick and accurate communication. All aspects of our business enjoy this platform for expediency and accuracy. We offer a full range of on site commercial fleet services to business located in the greater Phoenix metro area. "Because we use Desert Fleet-Serv, my fleet can stay rolling making the deliveries necessary to my business. Preventative maintenance and repairs can be scheduled with the evening mechanics, and I have full confidence that my fleet will be operational in the morning." "From the beginning our concerns were put in the number one position. I felt like I was their only customer. I have and would recommend Desert Fleet-Serv to any company looking for a truck service company that really cares what and how their customer feels about their service." Desert Fleet-Serv’s goal is to be the best place to work for in the Southwest. By hiring the best, we can focus on being the best mobile fleet service business in the greater Phoenix metro area. Our philosophy of conducting business in a fair and honest manner and treating all customers, employees and vendors with respect has put us on the right path to achieving this goal. Desert Fleet-Serv is recognized as a ASE Blue Seal of Excellence certified company. We are a preferred service vendor for: ARI, Donlen, Element Fleet (GE Capital) as well as Enterprise Leasing and many others. We make sure to clearly understand the customer’s needs. DFS’s working philosophy is built on developing partnerships to gain the trust and confidence of company decision makers and fleet/warehouse managers. At Desert Fleet-Serv, we use only the best available technology for the support of our products and services. 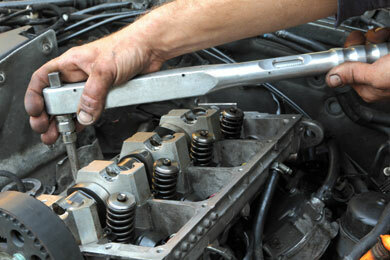 By utilizing these resources, we are able to provide services of outstanding quality and reliability. We help our team members balance the demands of work with the responsibilities of personal lives. As a result, each of our team members feels that he or she is valued and recognized as a meaningful contributor to our company’s success. Our actions demonstrate our integrity. We conduct ourselves in a manner which makes all of our employees proud to be a part of our company and makes our customers proud to be associated with DFS. We emphasize and support individual professional development, as well as improvement of our internal business processes, resulting in both our processes and team members continuously improving. DO YOU LIKE WHAT YOU'VE READ SO FAR? Contact Us Today!